Carlito (Carlos Sanz) leads a wealthy and influential Mexican-American crime syndicate in Los Angeles. Worried about encroachment from a Chinese syndicate, Carlito orders the contract killing of their leader, Don Kim (Keone Young). 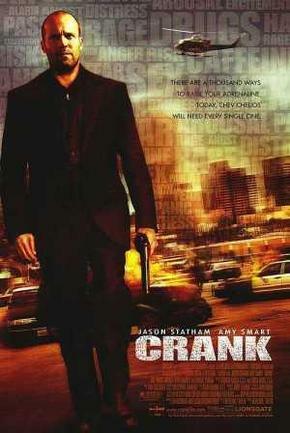 Carlito's best hitman, a British man called Chev Chelios (Jason Statham), is given the job. However, after the hit, the anger of the Chinese is much greater than Carlito expected. Carlito regrets the hit, deeming it "ill-advised". Carlito tells the Chinese the hit had nothing to do with him, and he will remove the elements in his own organization who were responsible. Ricky Verona (Jose Pablo Cantillo), a small time criminal and long-time rival of Chelios, uses the opportunity to conspire with Carlito against Chelios.